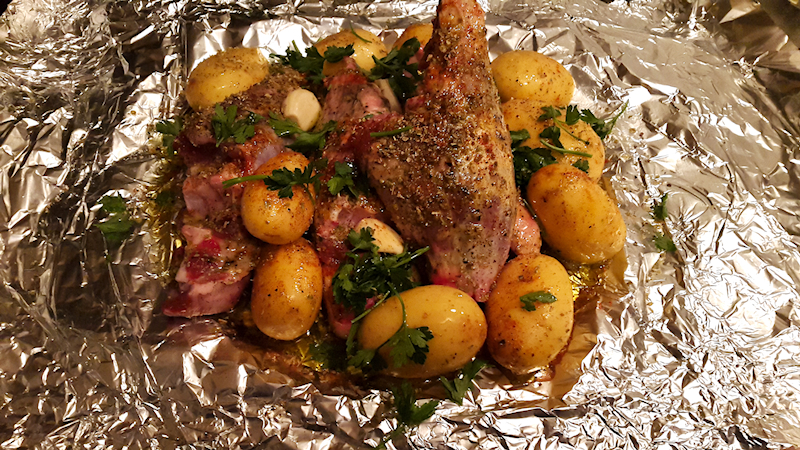 Mouth-melting and finger-licking lamb shank in the oven. 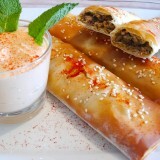 The famous Greek Kleftiko! 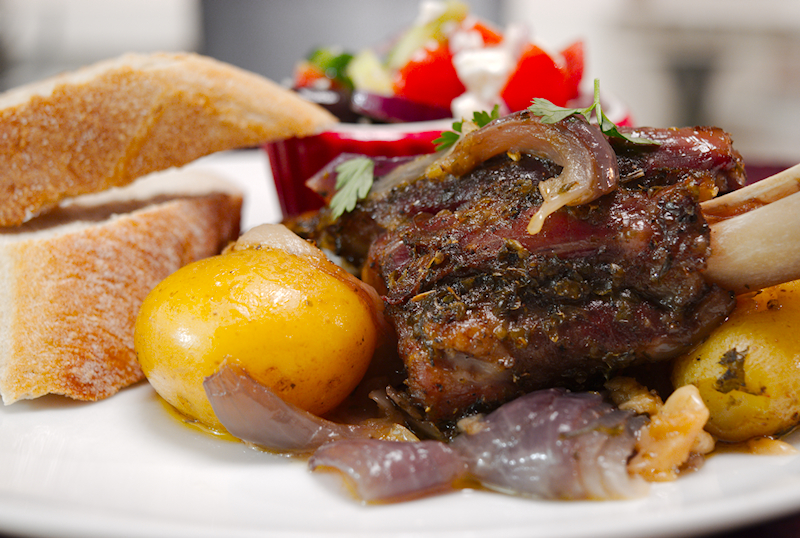 Kleftiko is one of the many Greek-Cypriot dishes that has left the Cypriot borders and pursues an international career! Indeed, you can now find it in many Greek restaurants around the world. The story behind Kleftiko is quite interesting. It goes back to the 19th century, when Cypriot freedom fighters lived in the mountain. They had to steal for their food, that’s why they were called “Kleftes” meaning thieves. In order to cook their meat they had to prepare the fire during the day and bury it under the ground covered in a special pot. In that way no one could spot the fire or smell. After a few hours, in the evening, they could enjoy the slow-cooked lamb. 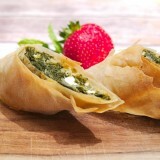 Now, the same principle of cooking applies for the modern version of Kleftiko. No, we don’t have to dig holes in the ground! 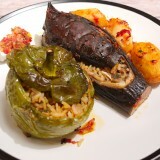 We just have to cover tightly the meat and vegetables and let it cook in the oven for several hours. 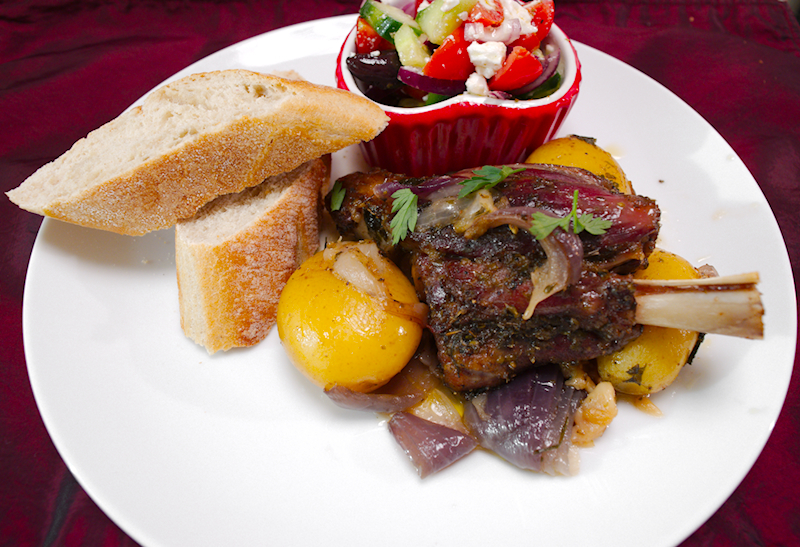 Kleftiko is better done with lamb shoulder but any kind of nice piece of lamb will do the job. I had some nice shanks from my favorite butcher so I used them this time. I have to say a special thanks to Kondje for the inspiration and assistance. 4 lamb shanks (~ 1200 gr, 42 oz). 10-12 baby potatoes with their skin on. A small bunch of flat-leaf parsley roughly chopped. 4 garlic cloves roughly chopped. Season the shanks with salt, pepper and oregano and let them absorb the flavors for ~ 2 hours before cooking. Preheat the oven at 170 degrees Celsius (340 F). Place the shanks in the center of a large piece of aluminium foil. Fold the edges so you create a kind of a “nest”. 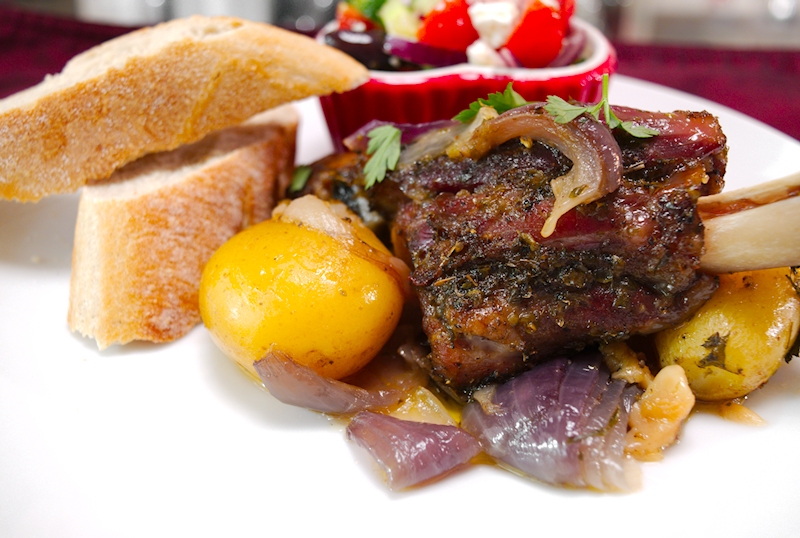 Add the potatoes, onion, garlic, parsley and pour the lemon juice on top. Sprinkle some more salt and pepper if needed and pour the olive oil. 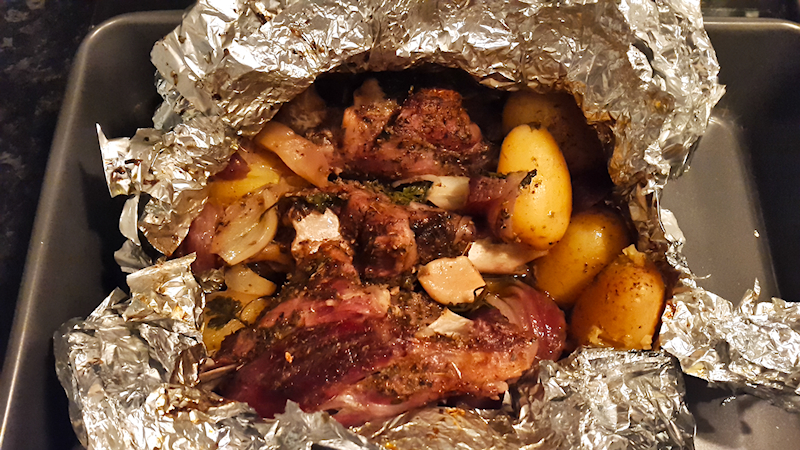 Fold the aluminium foil to cover the food. 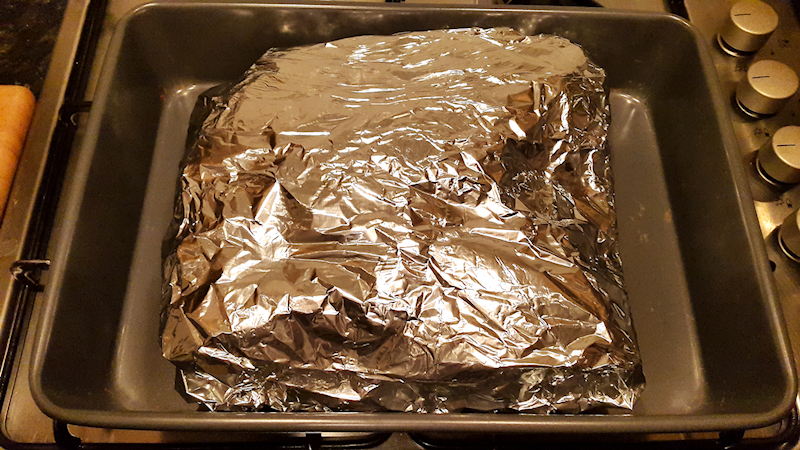 Use a second piece of foil (maybe a third) to make sure that your lamb and vegetables are fully covered. It is important that there is no opening as you don't want to lose the juices and steams. Transfer the “packet” on a large tray and cook for ~ 3 hours. Open the aluminium “packet” carefully. Use a spoon and spread some of the juices on top of the shanks. Cook for another 10 minutes to get a nice and crispy texture of the meat (optional). Enjoy your Kleftiko hot with some nice Greek salad.